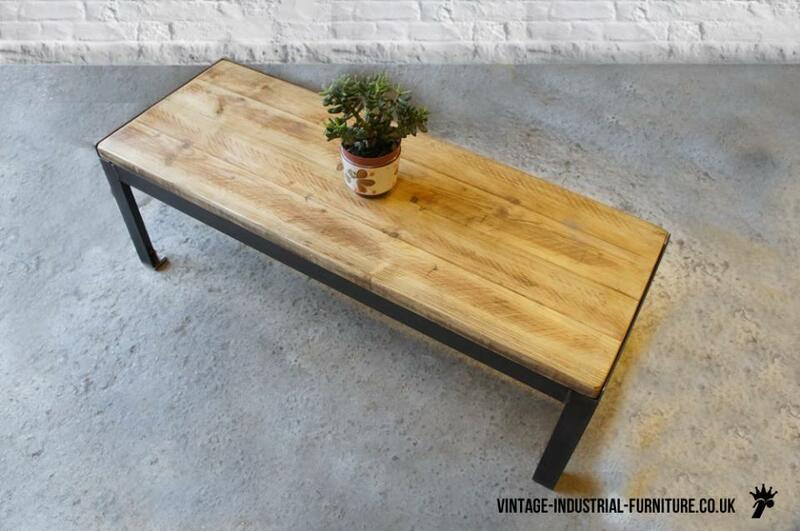 Our vintage industrial rectangular coffee table is great for placing alongside a sofa. The slim proportions provide an ample surface for cups and magazines whilst still fitting into smaller rooms and not consuming precious floor space. 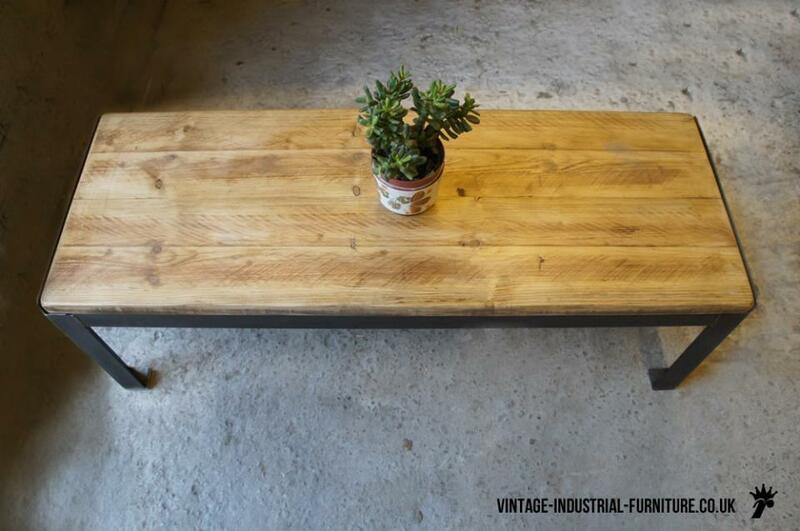 Regardless of these slender dimensions, this vintage industrial rectangular coffee table still has the robust construction and earthy tactile qualities of our other, larger products. 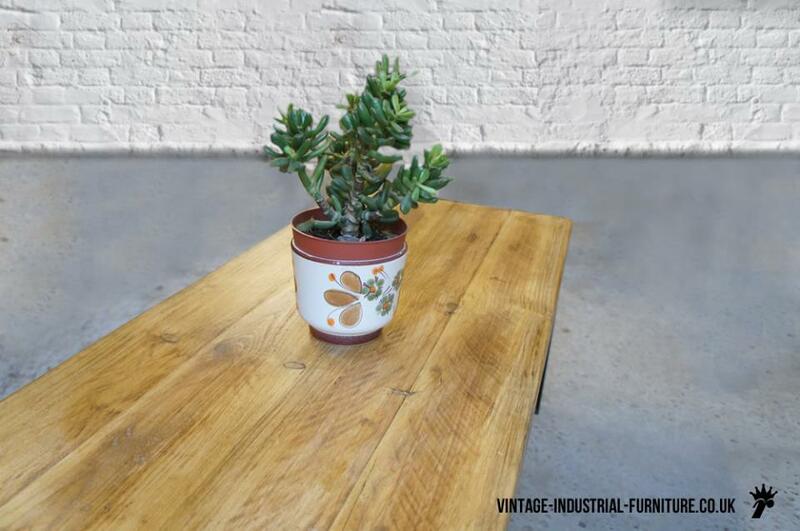 It features a substantial wooden top which is clear lacquered and waxed for a beautiful lustre. The weld detail on the all-steel frame really does add to the industrial tone of this piece. Shown is the light colour ("natural brown tint wax").